There are different types of dentists. 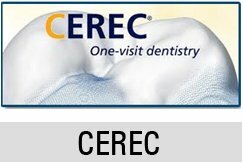 There is a general practitioner whose practice is not centered on a specific field, so he caters to all if not most of the dental disciplines; there is a dental specialist who will choose to maintain his practice with focus in a specific field in Dentistry such as Surgery, Orthodontics, Endodontics, Cosmetic Dentistry and so forth. There are also some dentists who will offer special services—and they will hold their offices as an Ontario emergency dental clinic, catering to all kinds of dental emergencies and accidents. 1. Choose an Ontario emergency dental clinic that is near you. Either the clinic is near your place of work or your own residence, or at least it is very accessible to you. You do want to have a difficult time trying to get to the clinic, during an emergency, so be wise about choosing a clinic in terms of location. 2. Choose an Ontario emergency dentist who is knowledgeable in various fields of Dentistry. You want a versatile practitioner because you want to be able to trust him to know what to do for all kinds of emergencies and not just for cases they specialize in. 3. Choose a clinic that has maintained a good reputation. More so, make sure that the Ontario emergency dentist running the office is one who is respected in his field and is known in the most positive of aspects. Emergencies are usually complicated cases that involve some risk and danger. It is, therefore, fitting to only trust an Ontario dentist that is trusted by many. For this, you can read reviews and patient feedback. Find out what other people have to say, so that you can be guided. 4. Choose an Ontario emergency dentist whose dental office is open even in odd hours. Like an emergency room, you want that the Ontario emergency dental clinic is ready to receive patients at all hours. Emergencies can happen any time so your emergency dentist should be available when it happens.